My rating: 8/10, Very good watch, oversized style with silicone strap. 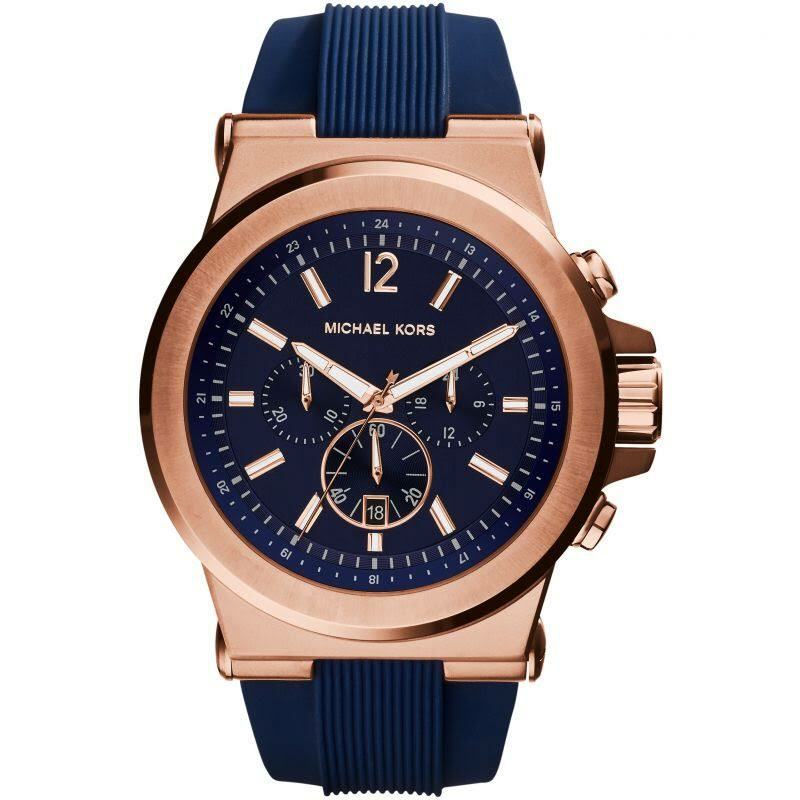 Michael Kors MK8295 watch is a large and bold looking watch. With an oversized style dial at 48mm this watch is bound to get noticed on your wrist. It’s also got a very interest blue and rose gold blended design that gives a luxury feel to it. It features a very comfortable silicone strap with a buckle clasp making it very easy to alter the size to fit your wrist best. Features like the chronograph display and luminous hands also come in handy when required. Band Large silicone strap providing extra comfort, standard length, 28mm width, buckle style clasp. Case A stainless steel case PVD rose plating, sizing diameter: 48 mm and thickness: 13 mm. Dial Large easy to read dial, chronograph display and luminous hands plus markers. Hardened mineral glass. Movement Japanese quartz movement with chronograph and analogue display. Oversized style at 48mm, if you like large watches this could be perfect. Japanese quartz movement offers very accurate timekeeping. Mineral glass is specially hardened and offers a good level of protection from scratching. Due to the large watch size it may look too big on a smaller wrist, worth keeping in mind. Michael Kors MK8295 watch has a very durable feel to it with it’s wide silicone strap and large casing. The design of the watch makes it perfect for suit and tie or just jeans. Michael Kors really are a serious player when it comes to designer watches and it’s no wonder this is one of their most popular men’s watches. It’s bound to get lots of compliments as you really can’t miss it. 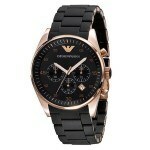 I for one love it and look forward to more Michael Kors watches in the future. Hope you enjoyed this Michael Kors MK8295 review. Find more watch reviews below.